Multimedia documentation of the life and culture of Filipino communities through the stories of Filipino migrants and their descendants. 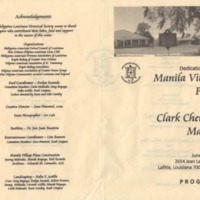 Collection of photographs and text related to Manila Village. 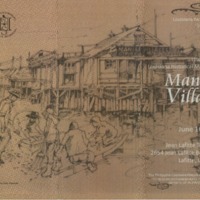 Two brochures that summarize the history of Manila Village. The brochures were developed for events to unveil the markers. 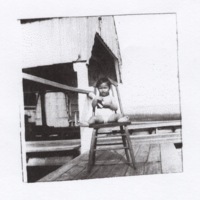 Estrella Maxima Melendez, daughter of Catalino Decena Melendez and Gertrude Marie L Melendez, on the wharf at Manila Bay. 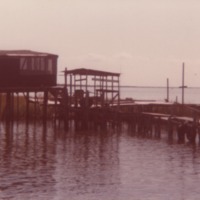 Remains of Manila Village in 1987. Photos taken on an excursion by Ruth Limjuco and company to visit the site.